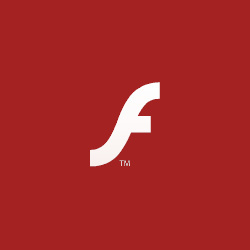 Adobe has announced that there's a "Level 1" security vulnerabiltiy in Adobe Flash plug-in. The vulnerability allows attacker to gain control of the host computer. Adobe said it will publish a patcj on 5th of February to fix the issue. Meanwhile, it is recommended to avoid using Flash. Versions 28.0.0.137 and below are vulnerable. Ugh....when will just everyone learn? I ditched over 4 years ago. Only Chrome uses it within its sandbox. Flash, Java are the worst things on the internet. We have Java to thank for all the existing viruses as that was the main platform used to exploit.....then came Flash and then came silverlight. ANYONE with Flash on their computer simply needs to be slapped. Ouch! agreed. Alert all the sites using Flash. I occasionally do. And inform sites and software of bugs. Like winX hd video converter deluxe. They told me they're working on a fix 4 weeks ago. For this wins 7 computer. But encryption on their website was holding them up!? Downloading a video slows to 5kbps. Also downloads a file 3/4 times. No fix from support.